Welcome To San Bernardino RV Park! 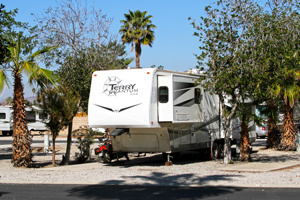 San Bernardino RV Park offers amenities like concrete patios at every site, Free Wi-Fi, immaculate laundry facility, clean restrooms and relaxing public areas. Whether you're RVing in San Bernardino, CA for a night, a week, a month, or longer, you'll appreciate our large 30/50-amp full hook-up RV sites and convenient location. 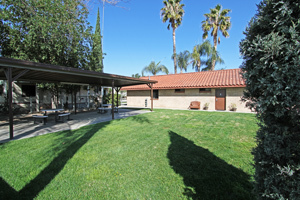 We've created a lush, landscaped San Bernardino RV Park environment that's truly warm and welcoming. In the security of our gated community, you'll feel like you're in your own RV oasis. Stay with us at San Bernardino RV Park and enjoy all there is to see and do in beautiful Southern California. You'll be glad you came for a visit! and the many other shopping & dining options that Hospitality Lane offers. Come enjoy RVing in Southern California with us. 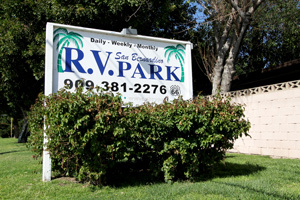 When you stay at San Bernardino RV Park, you'll appreciate our competitive rates, clean, comfortable facilities, and convenient location, close to shopping, services and area attractions. For more information or to reserve a site, Contact us today.